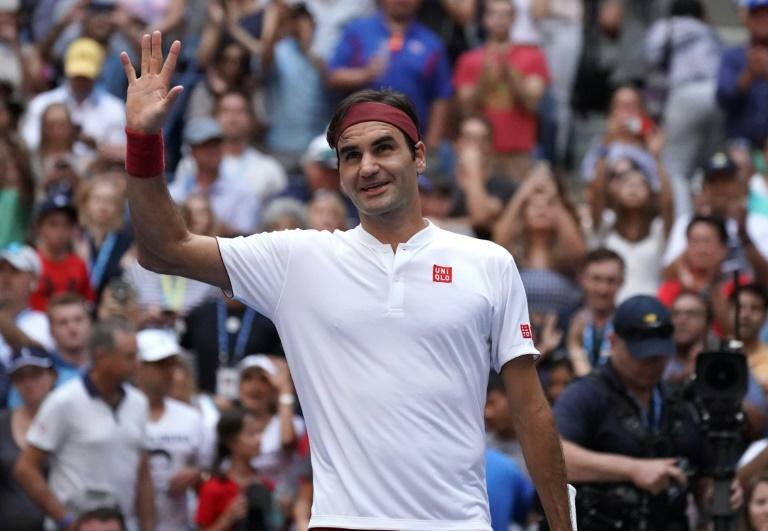 Five-time champion Roger Federer pulled out all the stops in a 6-4, 6-1, 7-5 victory over Australian Nick Kyrgios on Saturday to reach the fourth round of the US Open. The second-seeded Swiss improved to 3-1 against Kyrgios in his first Grand Slam meeting with the Aussie, who was expected to pose a threat after pushing Federer to three sets in their last two ATP meetings. "I'm very happy to have won, I'm happy it was three (sets)," Federer said. "I enjoy playing against Nick, he always keeps you on the edge and it's quite entertaining also for the opponent." Federer had the luxury of a two-set lead when the two produced their most entertaining exchanges. That included a dazzling Federer forehand from inches off the ground outside the tramlines that fund its way around the net post and had Kyrgios staring in awe. "Definitely a bit of luck and good feet," said Federer, adding it wasn't a shot he expected to make. "I guess I deserve it because I went for it." It denied Kyrgios a game point, although the Aussie would hold to lead the third set 4-3. Federer gained the lone break of the set to inch ahead 6-5 and served out the match with a love game punctuated by an ace on match point. Kyrgios had come out firing, but once Federer had saved four break points in the seventh game of the opening set the Australian was at a loss. "I think if he breaks there he probably runs away and wins that first set," Federer said. "He came out firing a lot of aces and feeling good." 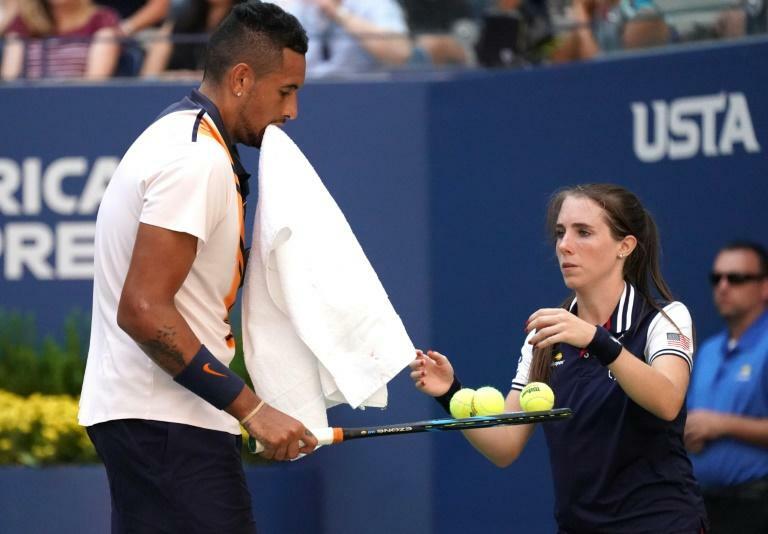 After dropping his serve to surrender the first set, Kyrgios was left muttering in his chair, and he was all but helpless in the face of a second-set master class from 20-time Grand Slam winner Federer. "I need to hire a coach," Kyrgios bellowed as he was broken to trail 4-0 in the second. here was no sign of the flagging interest that had umpire Mohamed Lahyani controversially climbing out of his chair to deliver an impromptu pep talk to the Aussie in his second-round win over Pierre-Hugues Herbert. Federer will fight for a quarter-final berth against another Australian, John Millman, who reached his first Grand Slam fourth round with a 6-4, 4-6, 6-1, 6-3 victory over Mikhail Kukushkin of Kazakhstan. "He's a real hard-working player," Federer said of Millman. "He's just come to Switzerland to train with me and he's a great guy."